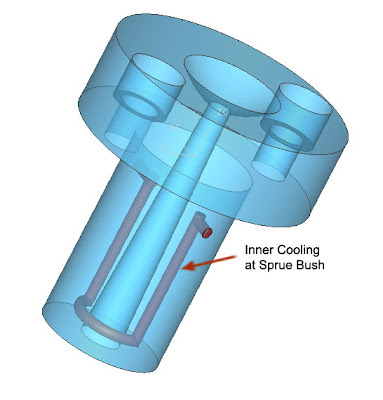 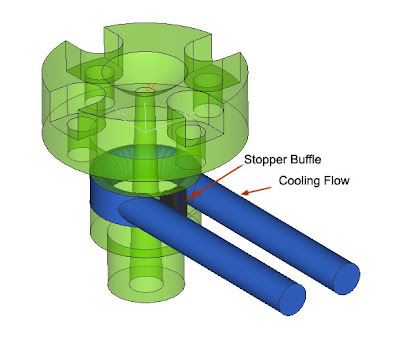 from those picture some standard part mold company have their own methods to make inner cooling at the sprue bush, we can by cutting in some part that weld together again, or by other method. 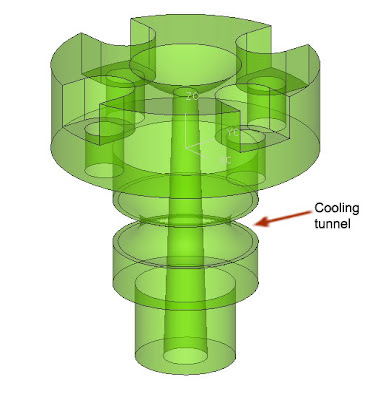 or you can make the flow straight, the other cooling method in sprue is like picture below, by using this type is easy to attach the O ring, becouse in and out flow from below side that contact with moldbase. 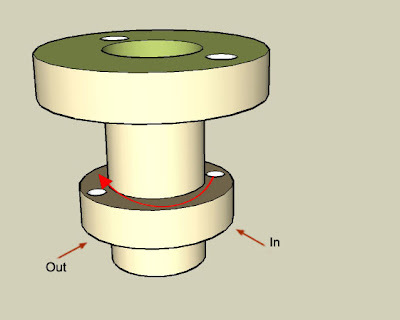 becouse when assembling of ring to moldbase is more easy by attach the O ring in Moldbase then put the sprue bush than attach the O ring in sprue bush and assembling it together in moldbase.